If you’ve ever seen a notice like “Bundler attempted to update nokogiri but its version stayed the same” and struggled to work out why, this interesting dig into Bundler is a worthwhile read. An proof-of-concept Ruby implementation of Go’s defer, a way to ensure certain things occur upon the conclusion of a method (such as closing files). 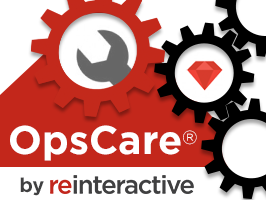 Our out-source DevOps solution keeps your app updated and running. Pre-baked blue/green deployments mean you’re always able to push updates, 24/7 support means we wear the pagers. A practical example of using a new Ruby 2.5 feature to refactor complex relationships and conditions in Rails. Uses gource.io to show the commit graph of Ruby over the past 25 years. It’s not often written about but building graphical apps in Ruby is a thing, and here’s a comparison of the most popular approaches. A pull request (and great conversation) adding a parallelize method to ActiveSupport::TestCase. Managing build versions is key when designing CD pipelines. This example web service shows you how to get started. New Relic, PgHero, and EXPLAIN ANALYZE are your allies in this fight. Four lessons to get you started with testing using RSpec and plain Ruby. Trading out method_missing for prepend. A CircleCI 2.0 case study. Handy if you still need to keep Ruby 1.9 apps running. Not a new project but has had several updates recently. Check if a password has been found in any of the huge data breaches. There’s also devise-pwned_password if you prefer a Devise-oriented approach.